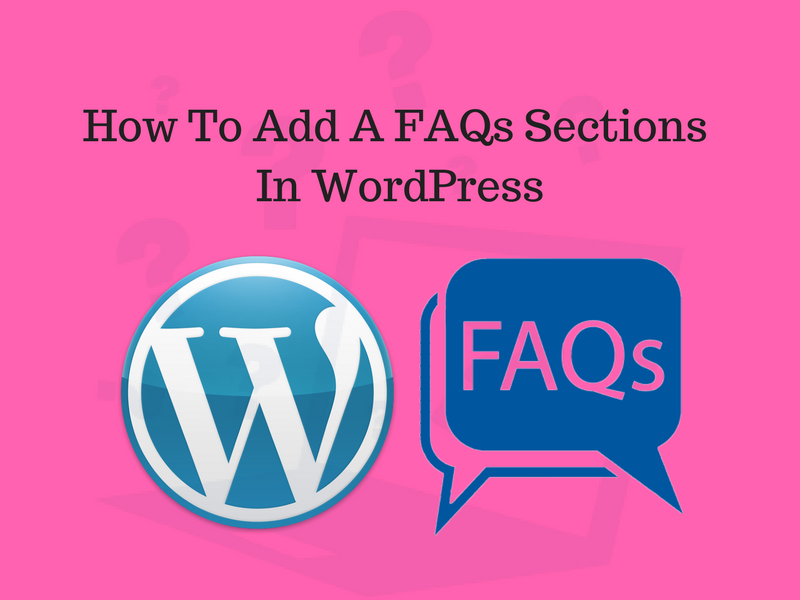 “In every new website or existing website one should need to add a section for Frequently asked questions (FAQ)” In this Article, you learn about How to add a Frequently asked question section in WordPress that give a review of product to visitors as well as customers. Frequently asked questions (FAQ), are listed questions and answers, all supposed to be commonly asked in some context, and concerning to a particular topic. Also, Adding a FAQs section can provide more information to your customers, the more likely they’ll convert. 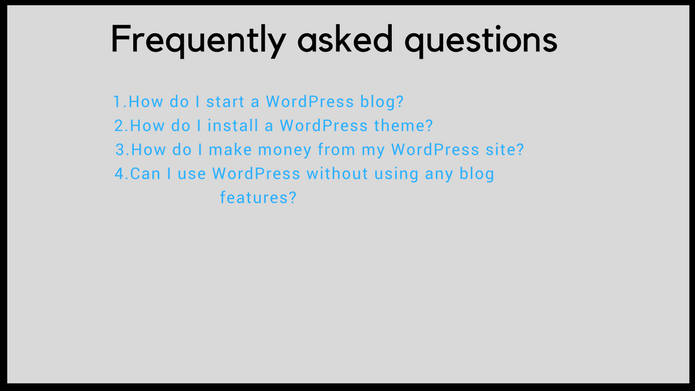 If you wondering to add an FAQ section in WordPress then you can add a new page with all the frequently asked questions (FAQs) that lead to your Product growth(FAQs grows as your customer base grows). You can either create a post or page for the FAQ section and list all the FAQs there. All you need to do is install and activate the Plugin called Quick and Easy FAQs. Quick and Easy FAQs Plugin, provides a quick and easy way add FAQs. Considering the situation when you are not familiar with any plugin, so it is very similar to Post where you can Place your few FAQ. Take a list of few lists of the question, Add the question in the title field and answer in the post edit area. After completing one question you should follow the same process to make another question. Finally, when you finished with your questions just publish it by going on publish button on the right side of your post. 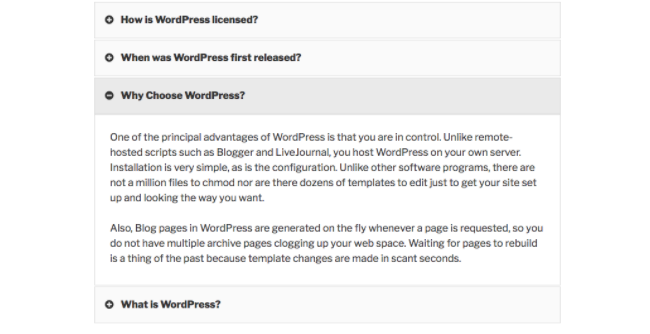 Next step is to display FAQs using the shortcode, the reason to introduce shortcode was to allow people to execute code inside WordPress posts, pages, and widgets without writing any code directly in a new page. If you follow this option the FAQs will design in the plain list. The user can scroll down to check all FAQ and see the answer when clicking on the question. If you follow this option the FAQs will display in jQuery Toggle. A question will expand when a user clicks on it. You can also check the full list of shortcodes on Quick and Easy FAQs Plugin website. Furthermore, If you wish to change the appearance of FAQs You can change by going in the theme’s stylesheet using CSS. Alternatively, if you can’t complete the above step go with the plugin like CSS Hero to change any style in your WordPress theme. CSS Hero is a WordPress Plugin that makes design customization easy. If you are not familiar with the CSS stylesheet and want to customize your WordPress site design without touching CSS.